CLEVELAND — The rawness of a familiar loss still stung when Toronto Raptors president of basketball operations Masai Ujiri addressed the media almost a year ago. "To me, making the playoffs is nothing," Ujiri told reporters. They had been there, done that. The Raptors continued their ascent throughout most of the 2016-17 regular season. They ousted the Milwaukee Bucks in the playoffs' first round before being bulldozed and swept by LeBron James and the Cavaliers. Ujiri spoke of a needed culture reset last summer. "Because we've done what we've done so many times and it hasn't worked," Ujiri said, "it's easy to defend, in my opinion, when you play one-on-one. It's predictable. We feel we have to go in another direction. I don't know what it is. Maybe it will be the new thing in the league that wins. ... We're trying to be progressive thinkers, and not just continue to pound, pound, pound on something that hasn't worked." The adjustment wasn't radical on the personnel side. Ujiri recommitted to coach Dwane Casey. He re-signed All-Star point guard Kyle Lowry. The team figured to benefit from having Serge Ibaka for an entire season. The reset Ujiri alluded to involved an overhaul of the team's offensive principles through means more modern than progressive. They stretched the floor, firing off almost nine more threes per game this season as a team. They gave up isolation ball, jumping from last in the NBA in assists per game (18.5) in 2016-17 to sixth (24.3) this season. The results paid off through the regular season. Toronto moved from sixth to third in offensive efficiency and, more important, captured a franchise-high 59 victories in securing home-court advantage throughout the playoffs. They knew their true test awaited in the postseason. And there, the Eastern Conference seemed paved for Toronto. The Cavaliers traded away Kyrie Irving last summer and appeared discombobulated throughout much of the year. The Celtics played the regular season without Gordon Hayward and the postseason without Irving. The 76ers are young and not battle-tested several times over like Toronto. But a year later and despite the changes, Toronto arrives at Monday's Game 4 in Cleveland in much the same condition as a year ago. 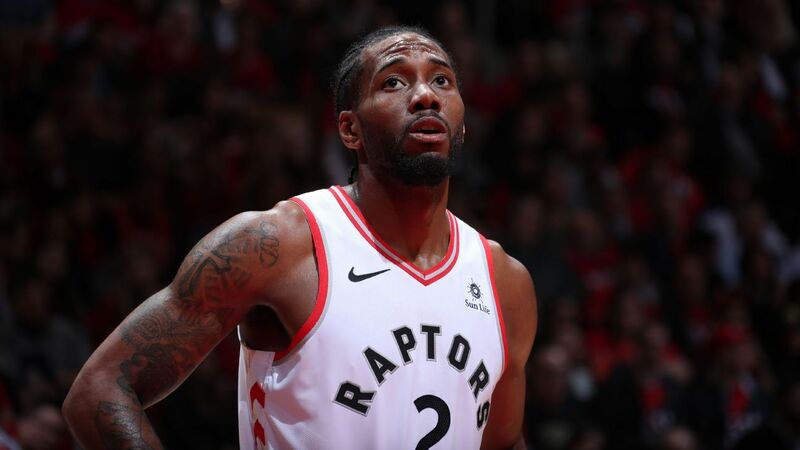 The Raptors coughed up the home-court advantage in the first game of the Eastern Conference Semifinals and are down 3-0 to Cleveland, one loss away from being vanquished by James for a third consecutive postseason. "We ain't been tough enough," Lowry said Sunday. "We ain't been physical enough with them. That's the problem." To be even more blunt, there is no Eastern Conference culture reset when the roadblock is LeBron James, and for the Raptors, no easy answers when it comes to the question of how to beat him. Paul George's Indiana Pacers found that out. So did the 60-win Atlanta Hawks and several other organizations. The Raptors remained stubborn. Other teams retooled by dissolving their cores and hoping that would be enough. They prayed to strike pay dirt in the lottery or for James to change conferences. Toronto tinkered internally. The Raptors are a self-made team that collectively rose to prominence in trusting one another. Casey toiled for years as an assistant and spent time coaching in Japan before landing his first head coaching job in Minnesota. Lowry bounced around before begrudgingly acclimating in Toronto. Though DeRozan could have decamped elsewhere as a free agent in 2016, he signed to stay with the organization that drafted him for five more years. Now those bonds face a test that may only get harder should the Raptors not become the first team to ever come back and win after losing the first three games of a playoff series. "We've got to go out there and play," Lowry said of Game 4. "We've been in the situation before, unfortunately." Lowry watched the off-balance shot leave James' right hand and the ball kiss glass in Saturday's Game 3. He looked at the time left in disbelief. "I didn't want it to be real," Lowry said. "Honestly, I wanted to have a chance to at least get a heave in and try and make it." Lowry spoke from the postgame podium without the All-Star teammate to whom he is normally tethered. 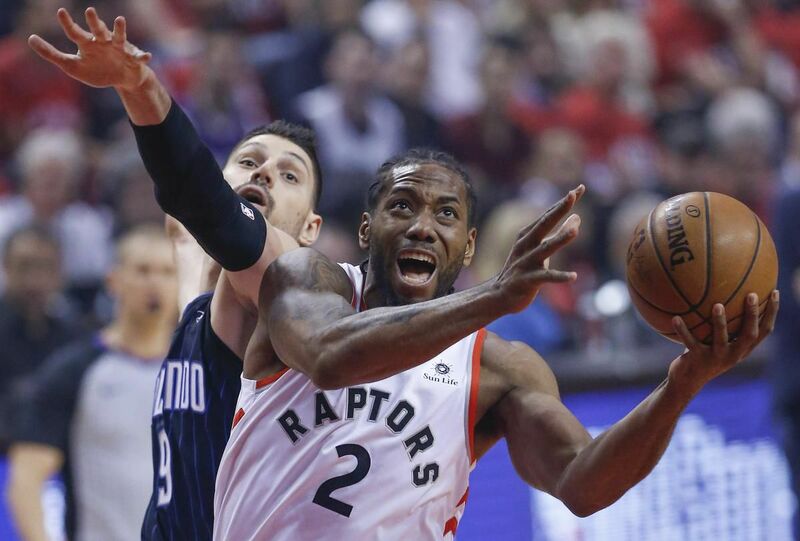 DeRozan did not join him on the stand after being benched the entirety of Game 3's fourth quarter, succumbing to an evening in which he shot 3-of-12 for a postseason-low eight points. "Kind of lonely," Lowry said. "I'm really lonely right now. I am. I miss my guy." Casey kept DeRozan on the bench as his team furiously rallied from a 14-point deficit. He thought about reinserting DeRozan at several points and debated the decision with his assistant coaches. And he would have put him back, had the game reached overtime. But the Cavaliers have made life hard for DeRozan by blitzing him on defense and trying to get the ball out of his hands like they did with Indiana's Victor Oladipo in the first round. DeRozan has attempted just seven free throws in the series after averaging seven attempts per game during the season. "He's our best point guard," Casey said of DeRozan on Sunday. "He can see over the defense. He can hit the short roll guy, and he may have to give himself up in those situations, which he has done before. He had a tough time making shots [Saturday] night. It was a tough game for him, and I felt for him. It wasn't anything personal. It's nothing that, 'DeMar's not this. He's not that.' He was just having a tough night last night, and you have to give Cleveland some credit with their defense with that, too." The pair talked Sunday morning. DeRozan expects to rally for Monday's game. "I always use things like [that] to fuel me," DeRozan said at Sunday's practice. "I've had lots of games where I got down on myself. It's all about how you respond. For me, you kind of thrive in the moments of understanding you can make do [with] what happened previously." A couple of twists and turns, a call here or there, and this series would look drastically different. Cleveland won the first game in overtime and the third via a game-winning buzzer-beater from James. "I thought it was there the first game," Casey said. "The second game, it wasn't there. Again, we shot ourselves in the foot with our turnovers (in Game 3). We were playing with our pants on fire defensively. But then we got to turn it around on the other end, have our composure, take care of the ball and get the shots we want to take." That two of the three games were decided by a combined three points offers little solace to Toronto. On Sunday, Lowry was asked whether he would regard this as a successful season should the Raptors go down via a familiar route. "Our season ain't over," he responded. "Ask me that when my season's over. It ain't over right now." That time may be approaching fast, though, and leaving the Raptors to face a summer filled with difficult questions.